In a potentially groundbreaking lawsuit, a branch of the Armenian Apostolic Church is seeking the return of its ancient religious center in Kozan in southeast Turkey. 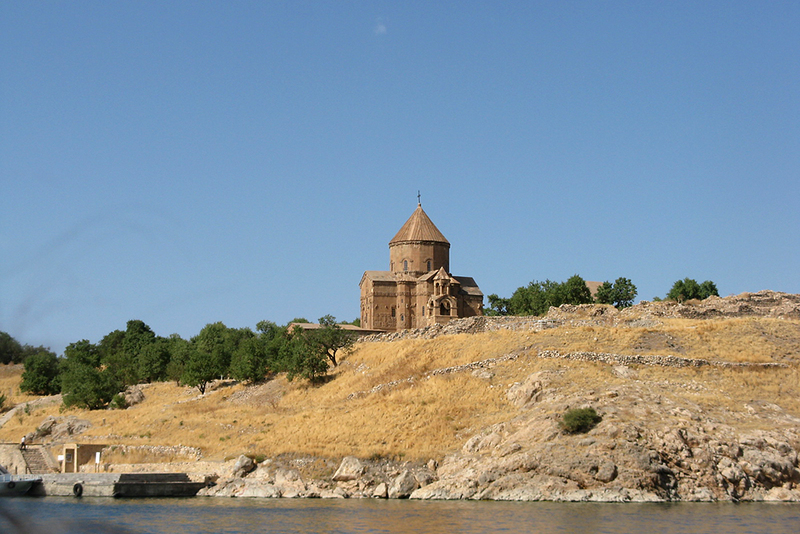 The Catholicosate of Cilicia, which dates back to 1293, is, along with the Armenian town of Etchmiadzin, one of the two centers of the Armenian Apostolic Church, the world’s first national Christian institution. Turkey’s Ottoman rulers seized the Catholicosate’s property during the pogroms and mass deportations of ethnic Armenians that occurred during World War I – actions much of the world describes as genocide. The case was filed on April 27 by the Armenian Church Catholicosate of Cilicia, based in Beirut, Lebanon, where the Catholicosate settled in 1930 after being forced out of Turkey. Turkey’s Constitutional Court, which decides on the constitutionality of orders and laws, has not yet decided whether or not to hear the suit, which comes with strong political overtones. “Now, because of the 100th anniversary of the Armenian genocide, we are doing this,” stated Teni Pirri-Simonian, spokesperson for Catholicos Aram I, leader of the Catholicosate of Cilicia. In an implied reference to the campaign for genocide recognition, the Yerevan-based head of the Armenian Apostolic Church, Catholicos Karekin II, on May 7 called the lawsuit a continuation “of the demand of the rights of the Armenian people,” Armenian Public Radio reported. After reforms introduced by the Turkish government, some foundations linked to the Armenian Apostolic Church have met with limited success in reclaiming seized properties, mostly in Istanbul. But the Patriarchate’s apparent coolness goes beyond clerical rivalries. The Patriarchate could not be reached for comment. With Turkey in the midst of a campaign for parliamentary elections on June 7, the ruling Justice and Development Party (AKP) also has remained silent on the issue. EurasiaNet.org contacted both the foreign and interior ministries for comment on the Catholicosate’s case, but received no response. But the mayor of Kozan, Musa Öztürk, an AKP member, is in defiant mood, however. “Not even an iota of land is to be handed over to anyone,” he declared to local reporters in late April. Öztürk’s assertion is in tune with the increasingly belligerent stance of President Recep Tayyip Erdoğan toward Yerevan. In April, Erdoğan condemned rapprochement efforts with Armenia led by his predecessor, Abdullah Gül, a former party colleague. The legal road, too, poses challenges for the Catholicosate’s quest. “Turkey has legislated quite a few rules and quite a few laws, which, in the end, provide a means to avoid the demands of the property owners,” warned law professor Gözaydın. Surprises, though, can be in store. In December 2014, for instance, Turkey’s Supreme Court of Appeals ruled that no statute of limitations exists for an attempt by an American Armenian, Zuart Sudjian, to regain control of family property in the southeast city of Diyarbakir. Yet even if the Constitutional Court takes a dimmer view and rejects the Catholicosate’s case, the Church’s lawyers have declared they will take it to the European Court of Human Rights (ECHR) in Strasbourg, France. But success is far from guaranteed. In January, the ECHR ruled against a church foundation reclaiming from the Turkish state a valuable orphanage building in Istanbul. The court dismissed the case on legal technicalities. Some observers, though, believe this ruling does not bode well for future property claims by ethnic Armenians. The Constitutional Court’s decision, though, could have implications far beyond that of Kozan. “There are Armenians all around the world now asking what happened to our families’ property, their homes,” said Pirri-Simonian.